Is GCG Asia a scam or legit broker? No, it is not safe to trade with GCG Asia. It is owned and operated by Guardian Capital AG, and claims to be located in Zurich, Switzerland. 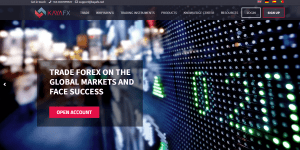 Guardian Capital AG (GCG) claims to be a leading provider of online foreign exchange (FX) trading, CFD trading, and related services. According to the website, GCG is authorized and regulated broker under the close supervision by FINMA. We didn’t find this broker among the FINMA-regulated entities, however, we actually found it in the regulator’s warning list. Swiss regulator has issued a warning against GCG Asia in March 2019. This is probably the biggest red flag. We advise all investors and traders to avoid GCG Asia and other unregulated brokers. The lack of information about the broker’s regulation, trading conditions, and contact details should be the biggest red flag for those who plan to invest with the entity. Usually, such companies run investment scams. Traders should trade with well-regulated brokers such as UK brokers or brokers in Australia and reliable brokers such as Plus500 and XM.com. Is Trade Global Market a scam or legit broker? No, it is not safe to trade with Trade Global Market. It is owned and operated by TGM Financial LLC, and claims to be located in Tbilisi, Georgia. Trade Global Market claims to be a leading online trading brokerage specialized to provide individuals and organizations with services in international financial markets. The broker offers to trade with various currency pairs, as well as in Gold (Spot), Silver (Spot) and CFD as well as indices. According to the website, Trade Global Market is a regulated entity and it provides a registration number. Since the broker is located in Georgia, we have checked this number with its local regulator register, the National Bank of Georgia. 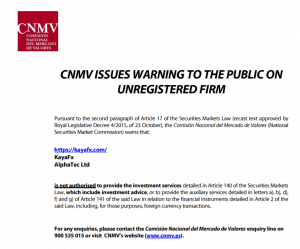 There is no record of Trade Global Market or TGM Financial LLC being registered in Georgia. Also, the broker provides contact numbers with British phone code, which could mean the company is based or somehow associated with the UK and therefore should be authorized by the UK’s Financial Conduct Authority. However, it doesn’t hold FCA license and is not authorized to offer its financial services in the country. We have also noticed that the company’s address provided on the website actually belongs to Zixipay Limited, a Georgian based Payment Service Provider registered and authorized by the National Bank of Georgia. It means that Trade Global Market has been using the address of the authorized entity to delude the customers. We advise all investors and traders to avoid Trade Global Market and other unregulated brokers. The lack of information about the broker’s regulation, trading conditions, and contact details should be the biggest red flag for those who plan to invest with the entity. Usually, such companies run investment scams. Traders should trade with well-regulated brokers such as UK brokers or brokers in Australia and reliable brokers such as eToro and XM.com. Is IC Finance a scam or legit broker? No, it is not safe to trade with IC Finance. IC Finance is owned by IC Finance Limited which is an offshore company registered in Vanuatu and claims to be registered with a Vanuatu Financial Services Commission (VFSC) license. Vanuatu is the easiest jurisdiction to open a brokerage, as the opening requires the company to submit a register online, prove initial establish capital which is $2,000 only, to pay a fee, and within a 2-3 month, the firm is crisp and registered. Therefore, it became an offshore zone for shady forex brokers such as Circle Markets, 70Trades and more. As to the broker’s VFSC license, from our source, шt costs €24,000 per year to become a member. However, and there is no handbook or guidelines for brokers to run their business. Therefore, there is zero protection for traders. We have a detailed article explaining the risk of trading with brokers from Vanuatu. According to the website, IC Finance is an international Forex broker, that provides high-quality financial and investment services to customers all around the world. The company doesn’t disclose its address or contact numbers. We have heard brokers from Vanuatu deny traders withdrawing funds. We have feedbacks from traders about their negative experience with IC Finance. You can read the feedback here. We advise all investors and traders to avoid IC Finance and other brokers from Vanuatu. Traders should trade with well-regulated brokers such as UK brokers or brokers in Australia and reliable brokers such as eToro and XM.com. Is 69Brokers a scam or legit broker? No, it is not safe to trade with 69Brokers. The broker doesn’t provide any information about the company behind the brand’s name as well as any regulatory information. 69Brokers presents its users with the optimal platform for investing in Forex, Futures and Commodities. The company’s HQ is located in Matam, London, Sydney, Limassol and Sofia. They also provide British office address and British contact numbers, however, the broker does not carry a license from British regulator – Financial Conduct Authority. It is not regulated by any other authorities as well, which means the company has been targeting people without a legal right for that. We have also found out that 69Brokers have been known for withdrawal issues and downtime of their trading platform and website, which is actually full of spelling errors. We advise all investors and traders to avoid 69Brokers and other unregulated brokers. The lack of information about the broker’s regulation, trading conditions and contact details should be the biggest red flag for those who plan to invest with the entity. Usually, such companies run investment scams. Traders should trade with well-regulated brokers such as UK brokers or brokers in Australia and reliable brokers such as City Index and XM.com. Is TraderUR Investments a scam or legit broker? No, it is not safe to trade with TraderUR. TraderUR is own by TEChNORIC Ltd. which is an offshore company registered in St. Vincent and the Grenadines. St. Vincent and the Grenadines is notorious for its practically absent requirements and regulations. Due to the setup cost is low and it does not regulate forex trading. Therefore, it became an offshore zone for shady forex brokers such as Millennium FX, Brokerz and more. According to the website, TraderUR a membership in the international Financial Commission (FinaCom), as they mention the registration number. Even though the FinaCom is a well-respected organization, it is a self-regulatory organization which cannot guarantee the safety of the trading environment and does not regulate the daily operations of the company, therefore can’t provide necessary protection to the client. TraderUR offers Forex, Crypto and CFDs trading. The company doesn’t provide any information about its location, only the contact phone numbers which are German and Swedish. However, the broker is not authorised by local regulators in Germany and Sweden. We advise all investors and traders to avoid TraderUR and other brokers from St. Vincent and the Grenadines. Traders should trade with well-regulated brokers such as UK brokers or brokers in Australia and reliable brokers such as IG Markets and Plus500. Is WandaFx Investments a scam or legit broker? No, it is not safe to trade with WandaFx. The broker doesn’t provide any information about the company behind the brand’s name as well as any regulatory information and contact details. WandaFx provides Forex, Crypto and CFD’s solutions to institutional and private investors. However, without disclosing important details about the company and its trading conditions the broker usually cannot be trusted and taken seriously. The terms and conditions on the website state that the company is under the Estonian jurisdiction, but it is not actually regulated by its local regulator. We have heard WandaFx broker denies traders withdrawing fund. We have feedbacks from traders that they cannot withdraw money. You can read the feedback here. We advise all investors and traders to avoid WandaFx and other unregulated brokers. The lack of information about the broker’s regulation, trading conditions, and contact details should be the biggest red flag for those who plan to invest with the entity. Usually, such companies run investment scams. Traders should trade with well-regulated brokers such as UK brokers or brokers in Australia and reliable brokers such as eToro and XM.com. Is SeRex Investments a scam or legit broker? No, it is not safe to trade with SeRex Investments. It is owned and operated by SRX Investment Limited, and claims to be located in London, UK. The broker offers Forex trading and flexible and low cost of our Execution-Only service (Online Stocks & Shares, Stocks & Shares New ISA). According to the website, SRX INVESTMENTS LIMITED is registered in England and Wales under the number 11201243 with the Registered Office: 3 Holmfield Road, Fulwood, Preston, PR2 8EN United Kingdom. Authorised and regulated by the Financial Conduct Authority, Firm No. 466868. A Member of the London Stock Exchange. 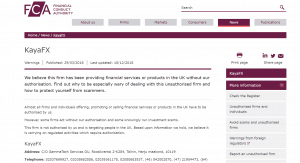 We have checked the above information provided on the firm’s website and haven’t found any records of SeRex Investments in the FCA register. Moreover, according to the FCA’s recent statement, the broker was not just providing misleading regulation information, but it was also using the details of the FCA-licensed company. In its notice, the UK regulator states that “clone firms” – fraudsters usually use this tactic when contacting people out of the blue, so clients should be especially wary if they have been cold called. They may use the name of the genuine firm, the ‘firm reference number’ (FRN) the regulator has given the authorised firm or other details. We advise all investors and traders to avoid SeRex Investments and other unregulated brokers. The lack of information about the broker’s regulation, trading conditions, and contact details should be the biggest red flag for those who plan to invest with the entity. Usually, such companies run investment scams. Traders should trade with well-regulated brokers such as UK brokers or brokers in Australia and reliable brokers such as eToro and XM.com. Is Tradepro Capitals a scam or legit broker? No, it is not safe to trade with Tradepro Capitals. Tradepro Capitals is owned by Tradepro Capital Markets Limited, which is an offshore company registered in the St. Vincent and the Grenadine. St. Vincent and the Grenadines is notorious for its practically absent requirements and regulations. Due to the setup cost is low and it does not regulate forex trading. Therefore, it became an offshore zone for shady forex brokers such as CapitalXP, Welkron and more. According to the Tradepro Capitals website, the broker is registered with the Financial Commission under the number 34452 IBC. Even though the FinaCom is a well-respected organization, it is a self-regulatory organization which cannot guarantee the safety of the trading environment and does not regulate the daily operations of the company, therefore can’t provide necessary protection to the client. We advise all investors and traders to avoid Tradepro Capitals and other brokers from St. Vincent and the Grenadines. Traders should trade with well-regulated brokers such as UK brokers or brokers in Australia and reliable brokers such as IG Markets and Plus500. Is KayaFX a scam or legit broker? No, it is not safe to trade with KayaFX. KayaFX delivers options for trading in some of the most popular liquid assets, including currency pairs, stocks, CFDs, most major financial indices, and commodities. It is owned and operated by AlphaTec Ltd., and claims to be located in Leeds, England. However, it does not carry a license from UK regulator– Financial Conduct Authority (FCA). According to the terms and conditions, the clearing and billing services are done by Hermes Solution DOO, based in Montenegro. Also, they mention that the relations between the broker and clients are governed by, and interpreted in accordance with the laws of Estonia. However, KayaFX is not regulated by the local regulators in the mentioned countries. We advise all investors and traders to avoid KayaFX and other unregulated brokers. The lack of information about the broker’s regulation, trading conditions, and contact details should be the biggest red flag for those who plan to invest with the entity. Usually, such companies run investment scams. Traders should trade with well-regulated brokers such as UK brokers or brokers in Australia and reliable brokers such as Plus500 and XM.com.